The maker of premium whiskies—in collaboration with HBO and Game of Thrones—will produce the new "White Walker by Johnnie Walker," a limited-edition Scotch whisky inspired by the most enigmatic and feared characters on the hit show: the White Walkers. But that's not all. 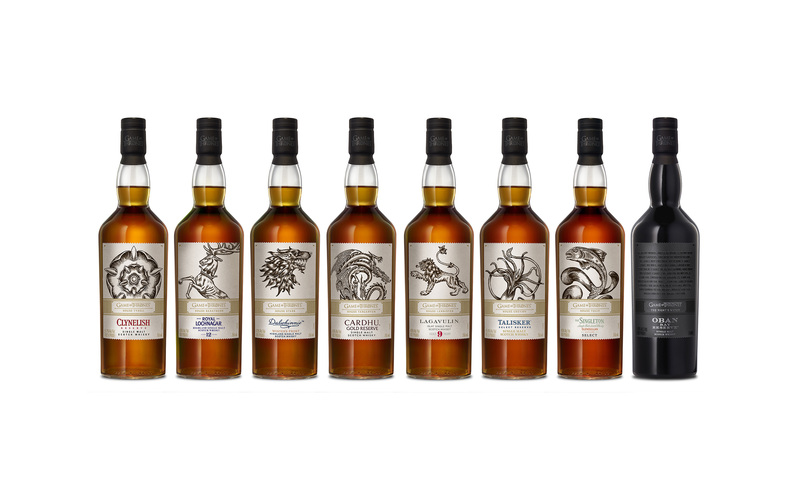 There's also the Game of Thrones Single Malt Scotch Whisky Collection, which features eight scotches that are all new to the U.S., and are each paired with one of the iconic Houses of Westeros, as well as the Night’s Watch, giving fans an authentic taste of the Seven Kingdoms and beyond. These are all limited-edition whiskies, so be sure to have a bottle (or nine) of White Walker by Johnnie Walker or one of the Game of Thrones Single Malt Scotch Whiskies on hand to toast the final season before they're sold out!